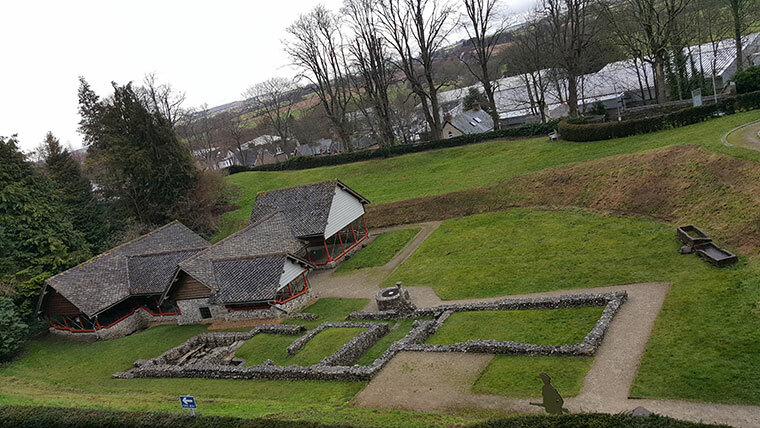 Dorchester hosts the only example of a fully exposed Roman town house in the country and its archaeology team are planning improvements to the site and want to know what people want. Dating from the fourth century, when the town was called Durnovaria, the remains of the building can be found behind County Hall at Colliton Park. The favourite lunch spot has some interesting features that include a well, evidence of several infant burials and some well-preserved mosaics. The mosaics are covered by a red-pillared building to protect them from damage, in a style designed to give visitors an impression of what the original Roman building might have been like. The colour of the supports was chosen because there is evidence that the walls of the house were this colour. The team who look after the site want to know your thoughts on the Roman Town House. There is an online survey www.dorsetforyou.gov.uk/roman-townhouse-feedback for you to give your views. The results of this feedback will be used to build an application for funding from the Heritage Lottery Fund. The closing date for the survey is 28 February.